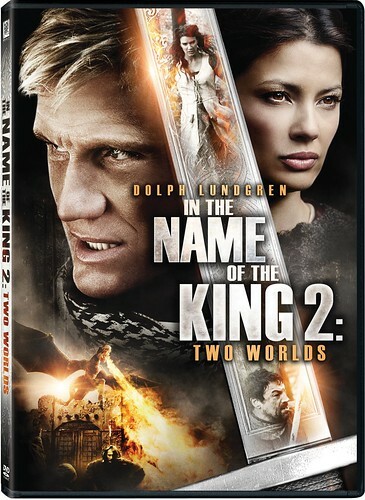 Two lucky readers have the opportunity to win In the Name of the King 2 on DVD. Cinema Sentries and Twentieth Century Fox Home Entertainment have teamed up to give two lucky readers the opportunity to win In the Name of the King 2 on DVD. Although often cited as one of the worst directors of his time, and a certainly polarizing character, director Uwe Boll never shies away from his critics. He clearly has many opinions and talents, and in this insightful feature we’ll take a look at some of the films in his controversial career in order to introduce him to a new league of potential fans. From horror-mastermind Uwe Boll (House of the Dead, Bloodrayne) comes the adrenaline-fueled next chapter in the epic action/adventure franchise, In the Name of the King 2: Two Worlds. Dolph Lundgren (The Expendables, Masters of the Universe) stars as Granger, a lethal, ex-Special Forces soldier who finds himself transported back to a mystical age of sorcery, dragons and savage hand-to-hand combat. This modern-day warrior has been summoned to defeat the forces of darkness and fulfill an ancient prophecy. But as he fights his way to the truth, Granger learns no one can be trusted -- and one wrong move could cost him not only his life, but the future of his world. There three ways to enter the contest, which is only open to continental U.S. residents. For your first entry, simply retweet the following post on Twitter: Tweet this. For a second entry, "like" us on our Facebook page and leave a comment under In the Name of the King 2 contest post. For a third entry, leave a comment below about your favorite king.